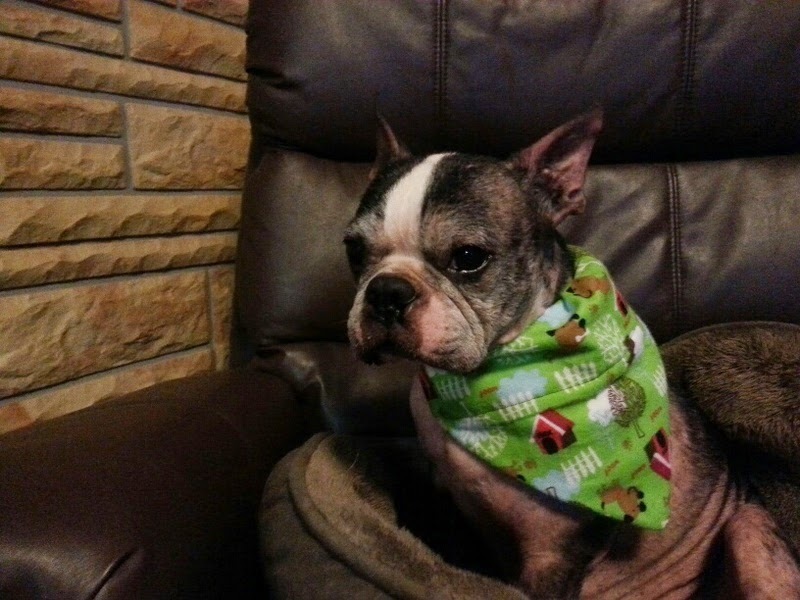 Tomorrow morning Buddy will begin his journey to New York to live with his forever family. This is my second foster adoption. It doesn't get easier as you go, does it? I'm so happy for them but can't help but worry that they think I'm abandoning them. I wrote this letter to Buddy today to get all the thoughts out of my head. I've been saying all this stuff to him but I just wish he could give me some sign that he understands. I'm sure that you are sensing something going on and wondering why I keep talking about this new Mommy and new Dad and even a new puppy brother. It's very exciting. You've been adopted! I am so happy for you. You will be so loved and you deserve it. I'm sure you wonder why you can't just stay here but this was only a temporary stop in your journey. A place for you to recover from your loss. 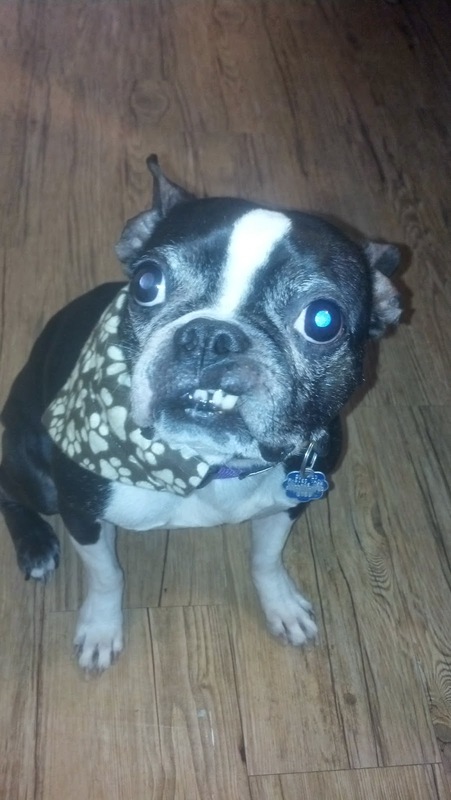 I hope you can understand that there are other dogs that need my help. You were here for just a short three months and it has been such a pleasure having you here. I watched you learn to trust and love us and I can't wait for your new family to experience that. 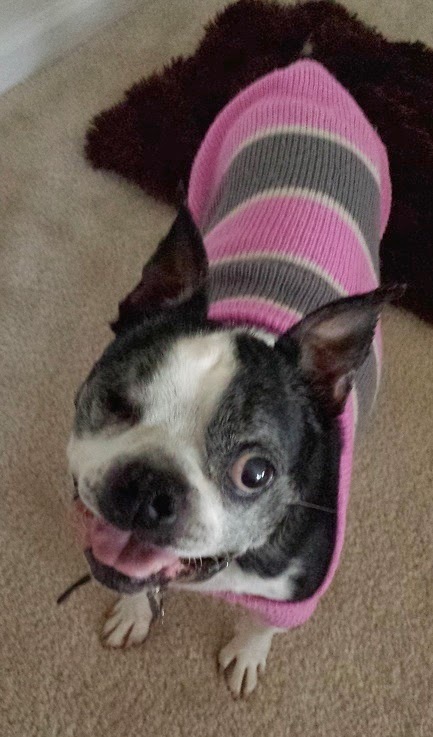 I will miss you and you will forever hold a piece of my heart as all of my fosters will. Tomorrow you will go on a long journey to your new home. I'm sure it will be scary but please be brave. A lot of people will be helping to get you there. Your new Mommy and Daddy will be anxiously waiting for you at the end of your long trip and will shower you with hugs and kisses and give you the loving home that you deserve. Buddy loves you and I'm sure he knows that you are doing what's best for him. Good luck, to you both! Kristy! you made tears come to my eyes! 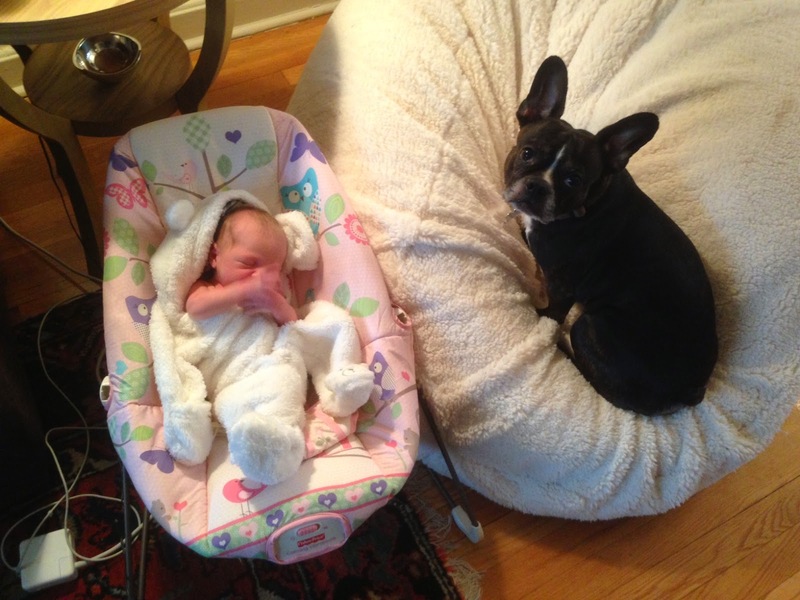 you are such a great foster mom! and I enjoy working with you and your fosters. I hope you did read it to him. Such a beautiful letter. It made me think back of all my past fosters and how I felt when the journey took them to their forever home. As always I shed happy tears. They are all happy and in a place they need to be. Hugs from the McGraw Gang. 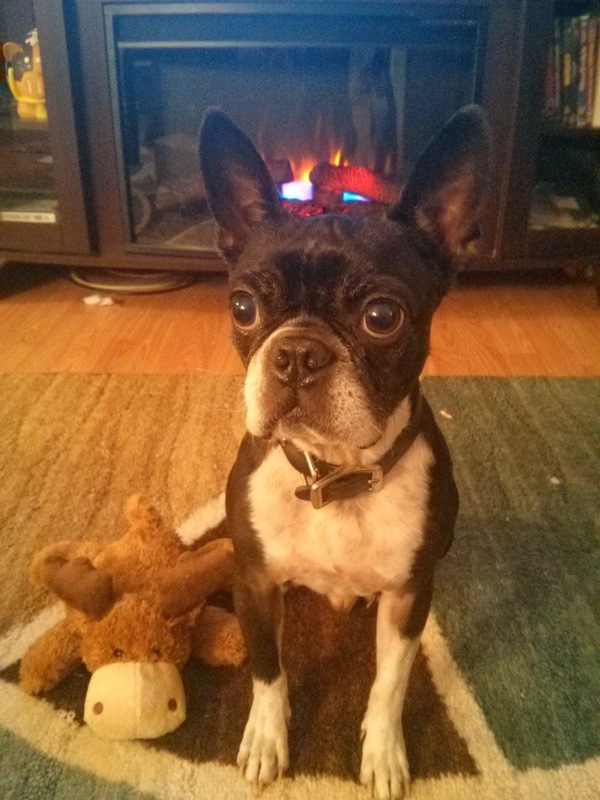 I have fostered for 5 years and you are right it doesn't get easier. After all these years I feel the same way you do. I'm so worried that when they get adopted and leave here that they think I didn't want them and I am sending them away. Man its so hard. But when you see the pictures of them with their family and being happy. It feels better. Good luck and know I feel the same way. Thank you for taking care of Buddy. Oh Kristy; that was beautiful and tears are falling down my face. I know he understands. It takes a strong person to let them go. That is so sweet! It doesn't get easier to say goodbye with each one, but I think it becomes more rewarding with each foster. I talk to my fosters too as the adoption approaches, sometimes through tears, telling them how much I love them and how they will make me proud in their new home. I'm happy I'm not the only one :) I love the idea of a letter to save for each foster! I wish I had done some kind of paw print of them. This is a good idea though! 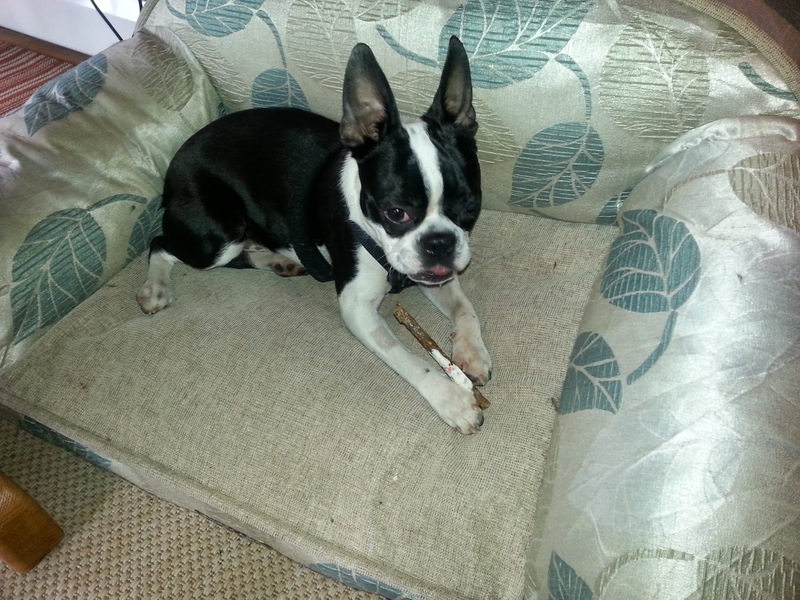 Boston, who will now be called Riley, was adopted yesterday in Fort Washington, PA. He was adopted by Lisa and Paul Brock and will join a household of 5 cats! Lisa is a vet tech at our local vet office and fell in love with Riley on the day they met. 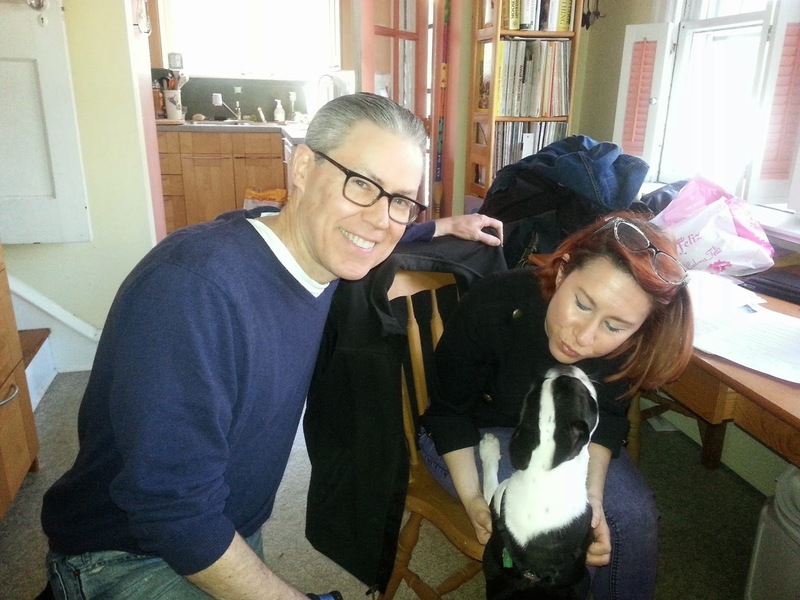 Paul made several trips to meet Riley and told Lisa that this is the dog she had always wanted. Lisa is very much involved with cat rescue. 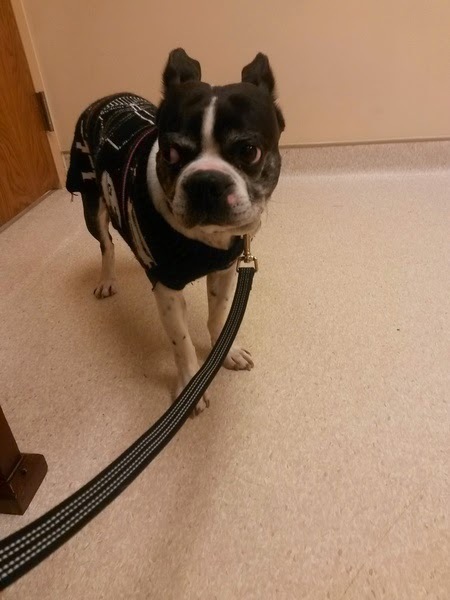 As a vet tech she will be able to give Riley's eye condition the best care. It was excruciating to give the little fellow up, but knowing how thrilled Paul and Lisa are and how happy they will all make each other eases the pain. Great job on finding the perfect family! Happy forever Boston. Max here and I want to say thank you Easter Bunny (also known as Tyler & Amy Colodonato). The treats are yummy and I had a blast playing with the grass stuffing. I love my new bowl too. Foster Mom is going to serve my breakfast in it tomorrow morning. 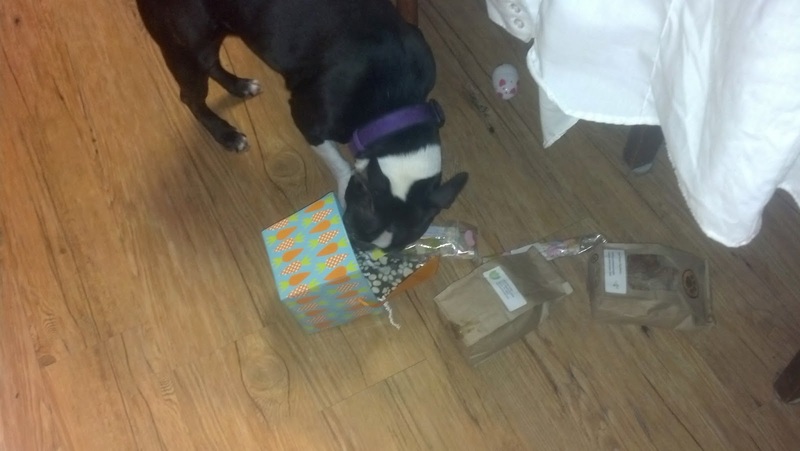 I shared my yummy treats with my foster sisters and brother. They say thank you too. I'm sending a couple of pictures so everyone can see how much fun I had. Thanks again. 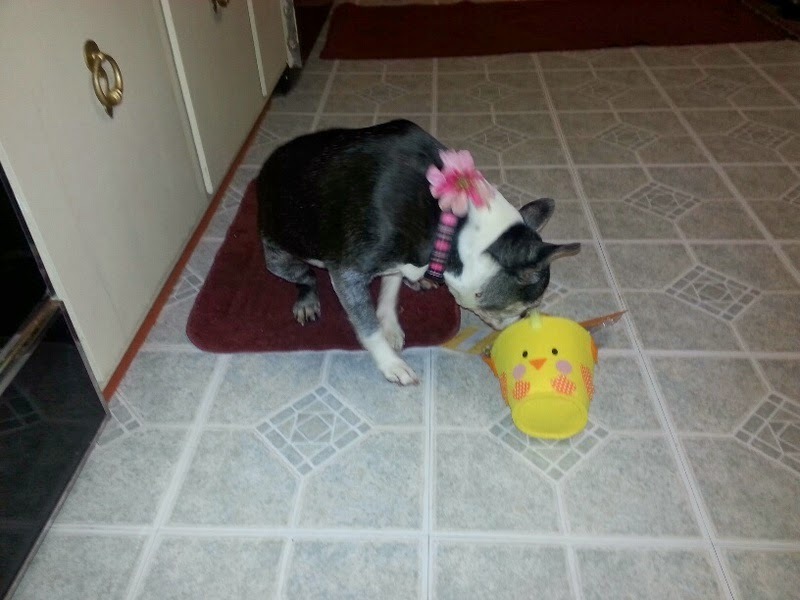 Polka and I would love to thank Kelly McGee and Poochychef for the wonderful Easter Basket.. The little felt bunny basket is adorable!!! !vWe are saving it as she is going to her forever home this weekend and she wanted to pack it in her luggage to take with her. 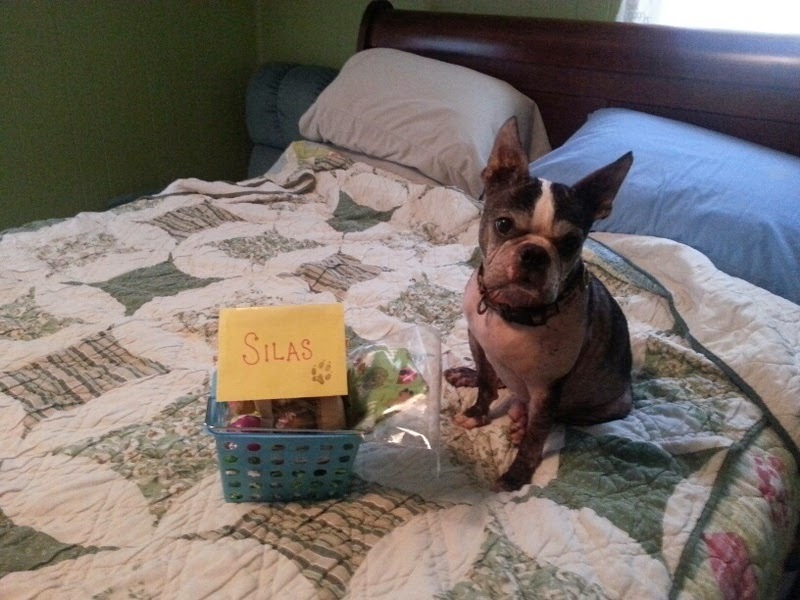 Wrigley got a special Easter gift in the mail today and wants to send kisses & cuddles to thank Melissa McGinn for her generosity! 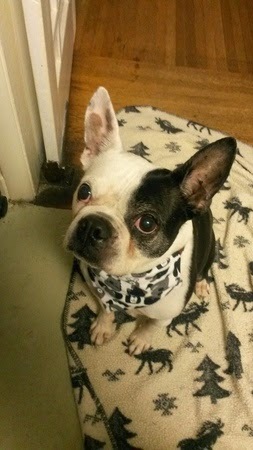 Wrigley sits pretty for such yummy treats like a good boy, and the neckerchief is adorable. 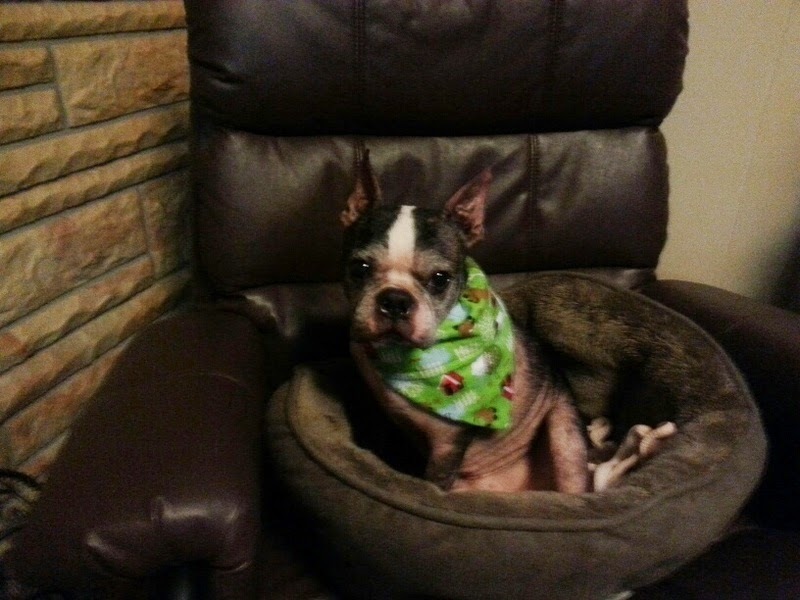 Thank you so much for your generosity-you made Wrigley feel like one special foster boy !!! Awww…so glad it made him happy. Wrigley is such a handsome boy!! 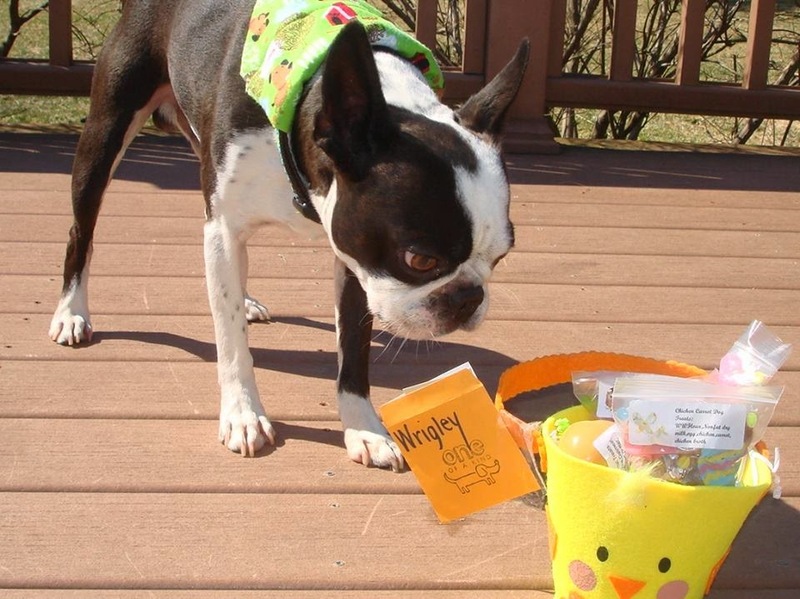 Happy Easter Wrigley and family! 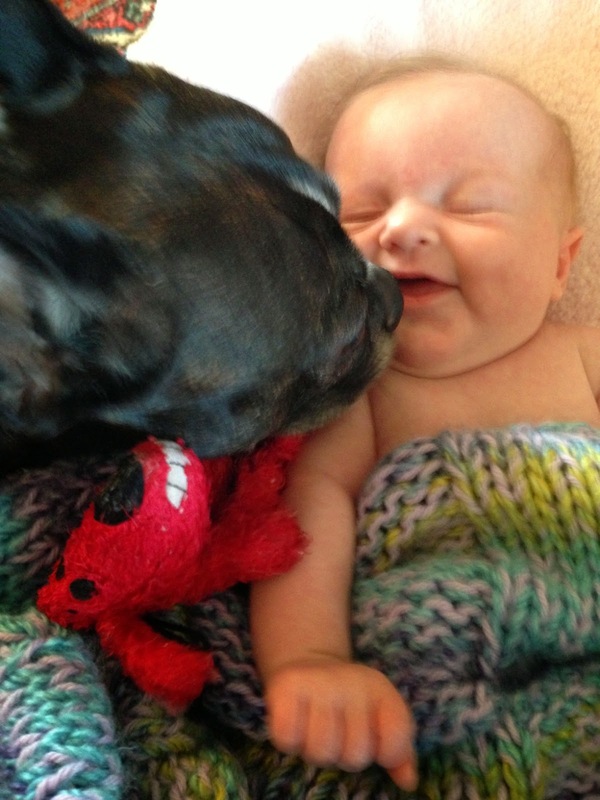 Our new Boston Lola with our Bella adjusting nicely. 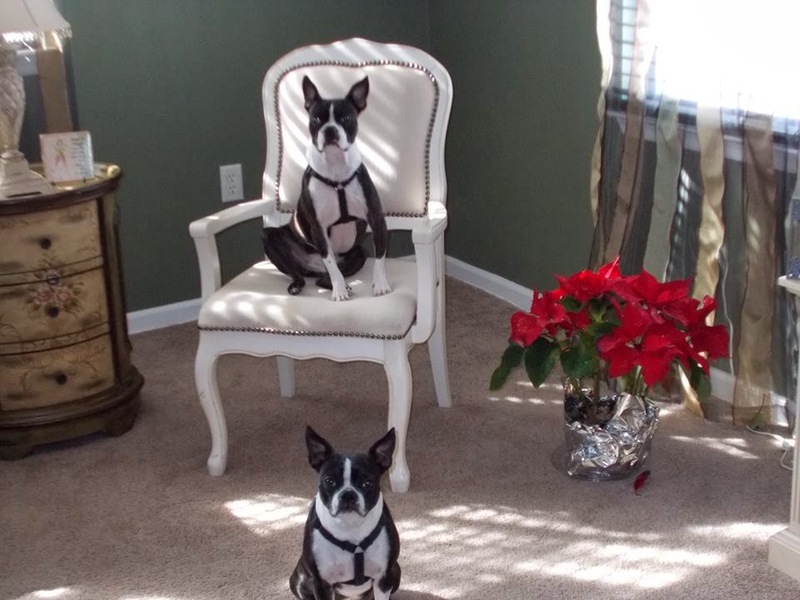 Here is a picture of Rosie & Rocky is on the chair like a King. Baxter was shocked and excited to learn that his GoFundMe campaign was a huge success thanks to his Facebook and Instagram friends! Not only did we raise enough to cover ALL of his medical bills, but we had $700 left over that we decided to donate to other dogs in need. 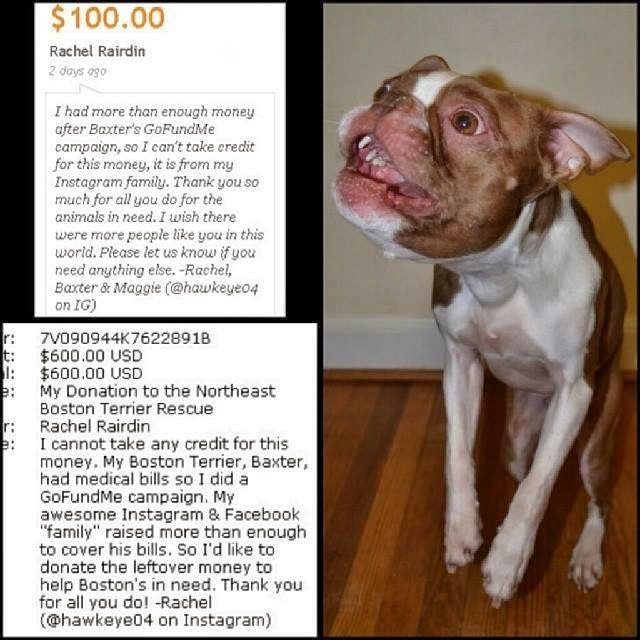 We donated $100 to an Instagram friend who is amazing at helping animals in need, and $600 to Northeast Boston Terrier Rescue. Thanks everyone for your support and kind words! Baxter is back on the mend, at this point he is slowly gaining weight and back to his usual antics. There are some great Baxturd photo ops in the works currently, so stay tuned. 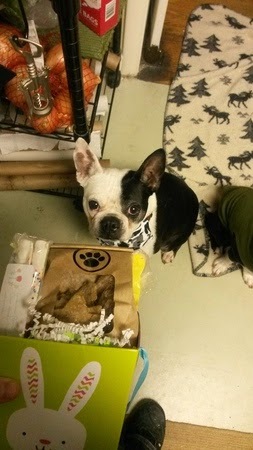 Thanks so much Baxter for your generosity to help other Bostons in need! Sunday Valentine here! 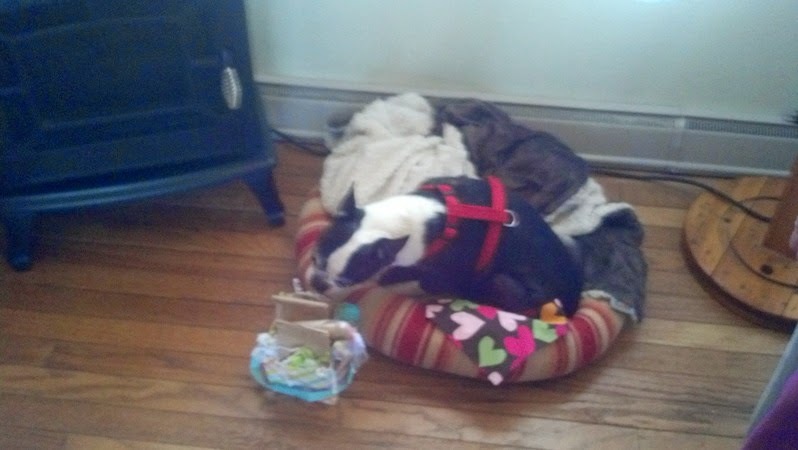 I might be getting on in years, and I don't see or hear...but I still have big pleasures in my life, thanks to NEBTR, my foster mama that moves my bed into the sun every day, and Jodi Gundersen who sent me the most AWESOME Easter basket! 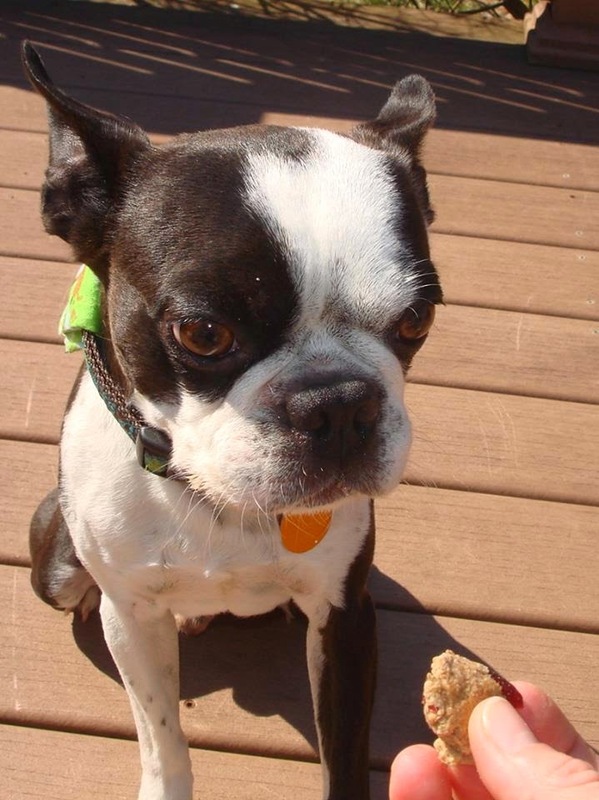 As you can see, I was thrilled to wake up from my napping to crunch down on a delicious POOCHEYCHEF cookie!! 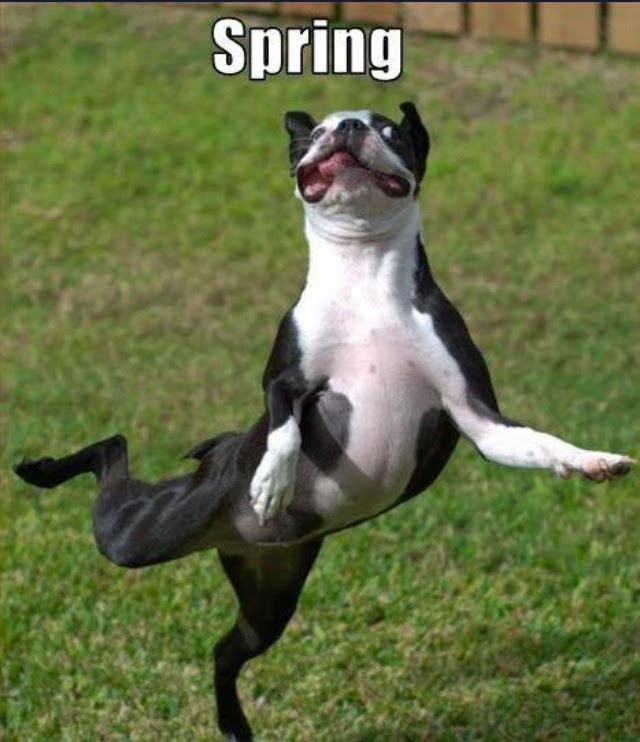 I'm going to have a special "SPRING" in my step today, thanks to the sun and all the yummy nutritious treats I got today. 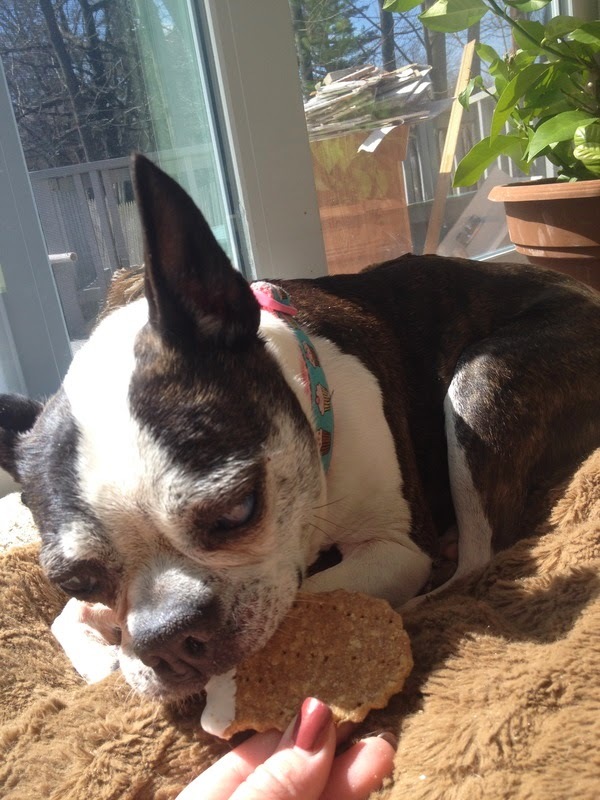 A special thank you for the extra treats for my foster sister Maggie, who dances like a circus dog for treats! I can feel the vibrations in the floor when she gets excited!! Jodi Gunderson and Chris Schezzini, you are awesome!!!! This one teared me up! Happy Easter Sunday Valentine!!! You deserve it! 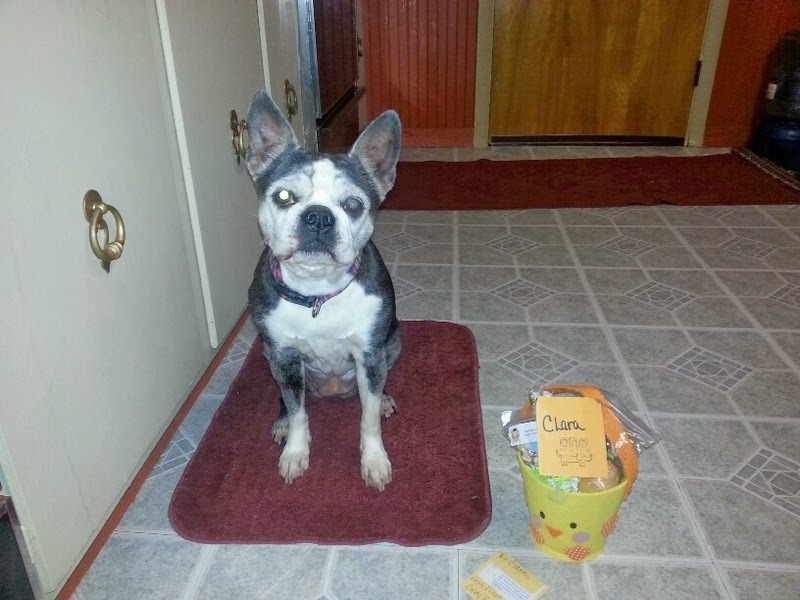 Clara got her Easter basket! 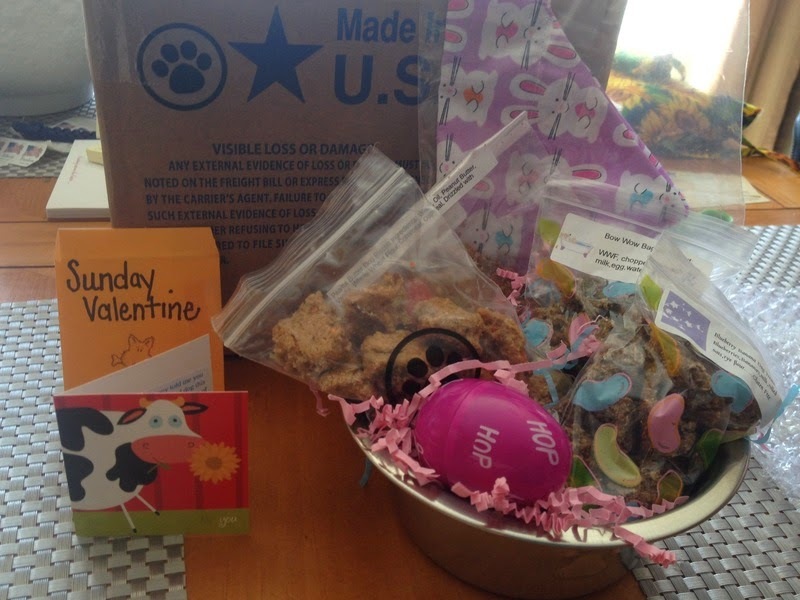 Thanks so much to Easter Bunny Cindy Bode! Sunday Valentine. 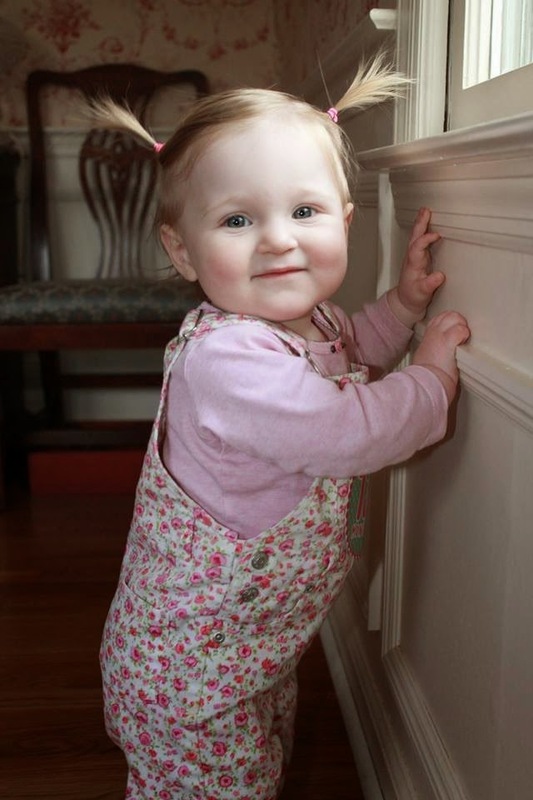 Thank you Marjorie Young for taking such loving care of her! Boy oh boy we love those senior faces! 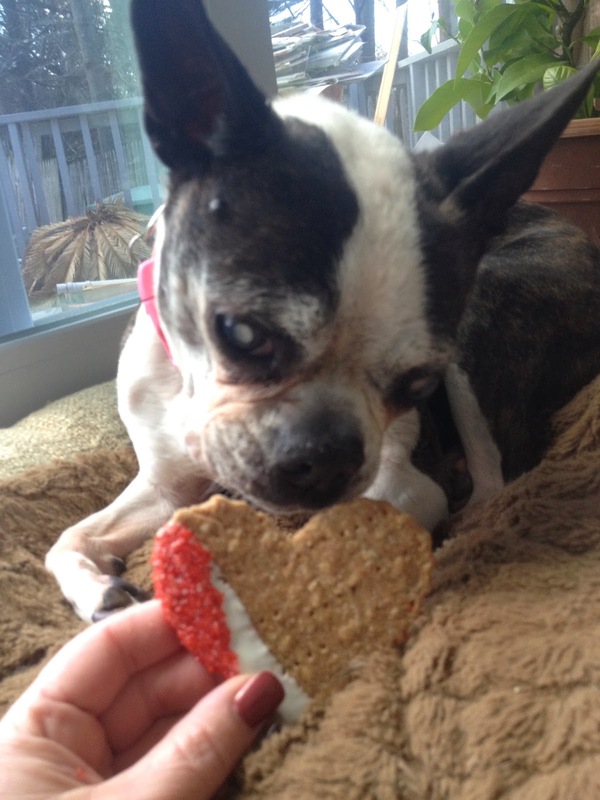 A special thank you for the extra treats for my foster sister Maggie, who dances like a circus dog for treats! I can feel the vibrations in the floor when she gets excited!! Chris Schezzini, you are awesome!!!! 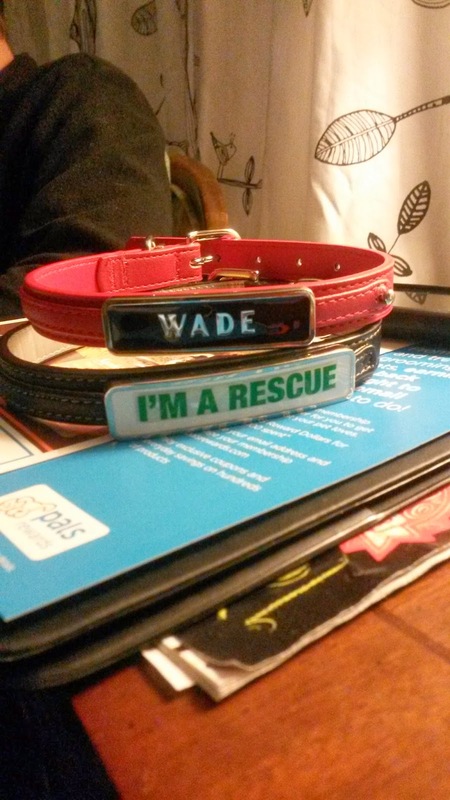 Look at these fancy collars I made for my foster boys! Woo! Thank you Melissa! 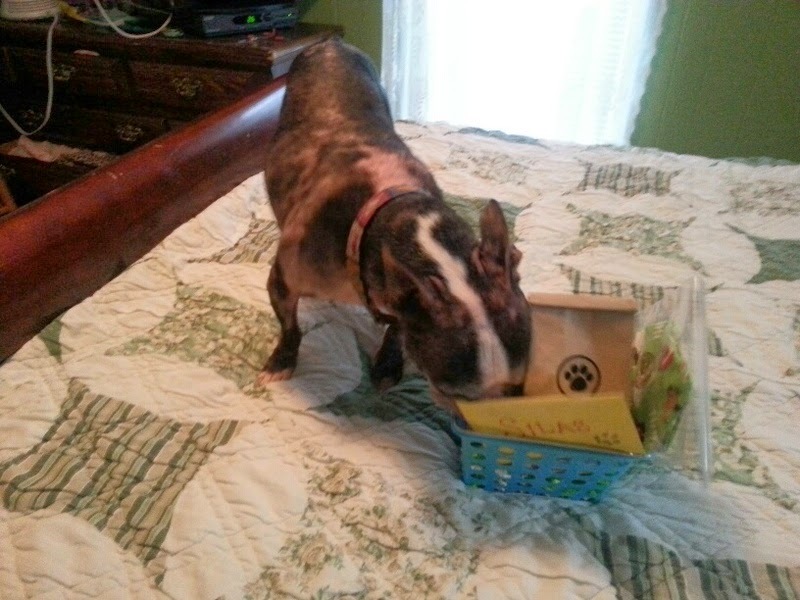 Frankie received her Easter basket yesterday!!! 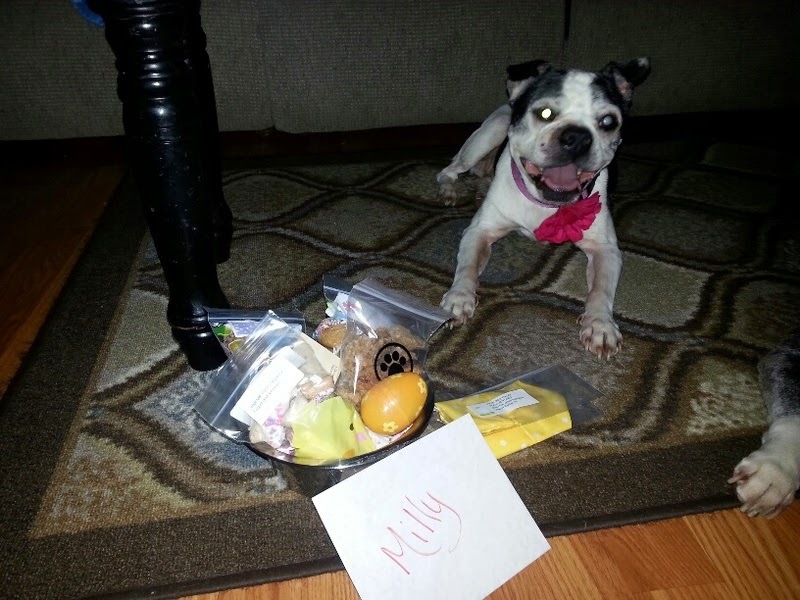 A big thank you to Nancy McDougall for Milly's basket and Tanya Colon for Silas's basket. So cute and thoughtful!!! 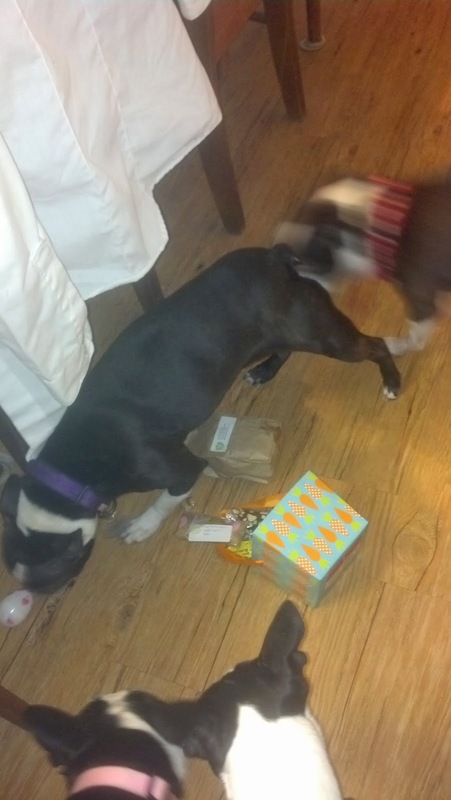 My permanent fosters, Rocky and Robin, want to thank their Easter Bunnies for the Great Treats! 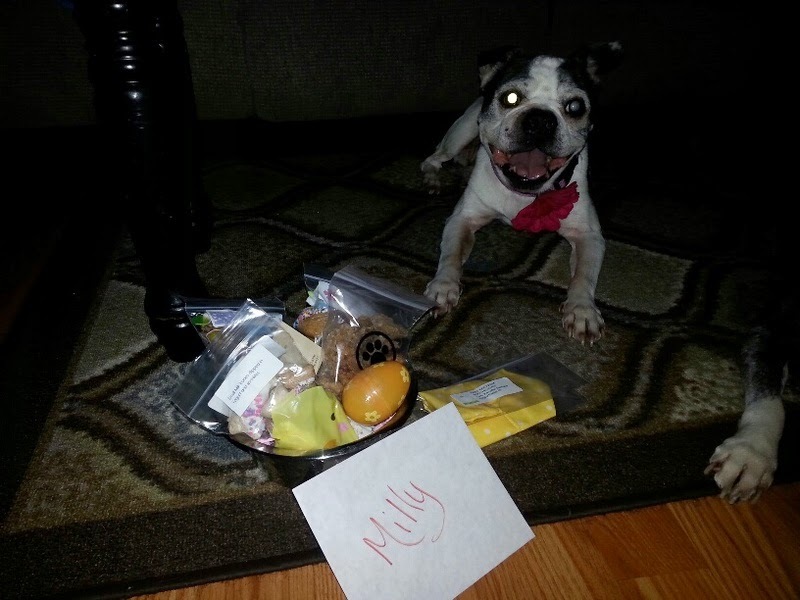 Rocky wants to Thank Laura Carey for the treats, and since he has been a little out of sorts in the appetite department, tasty treats were just the trick! He says "YUM!" 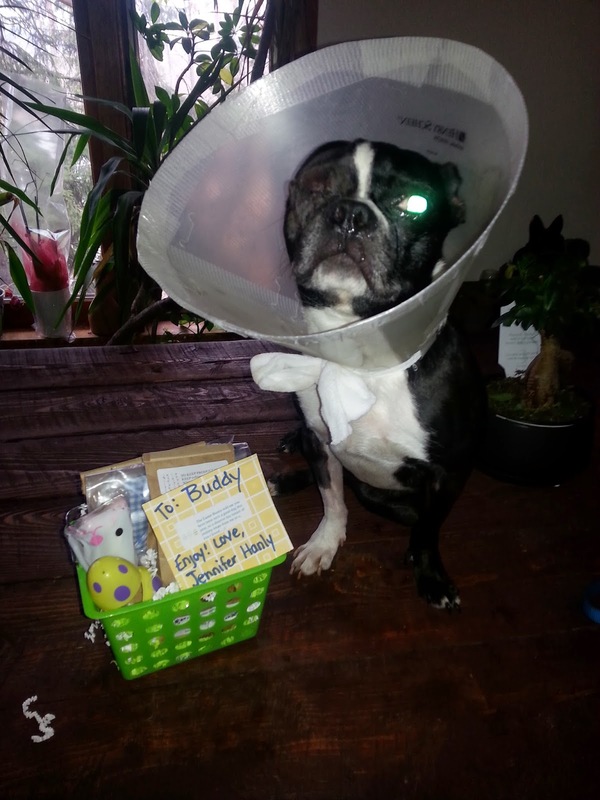 Robin wants to Thank Moreen Nickerson for his Easter Basket with treats, too! 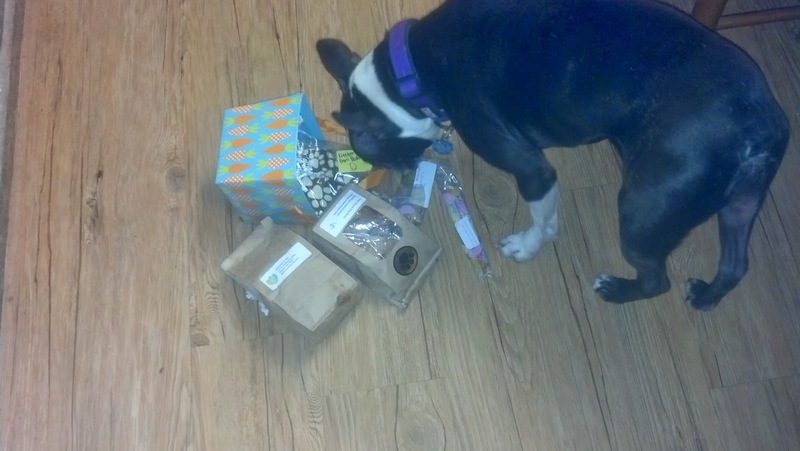 He really liked some of Rocky's, and they will share their goodies! I am always so touched when I see the kindness and generosity of people like Moreen and Laura. 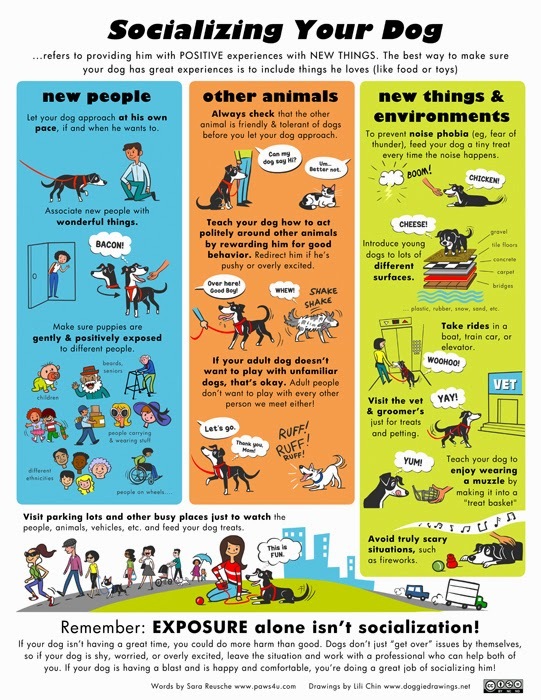 It really makes a foster home know that there are great people out there who support our rescue dogs. NEBTR has the nicest people and again, I want to say how proud I am to be affiliated with such and awesome group! 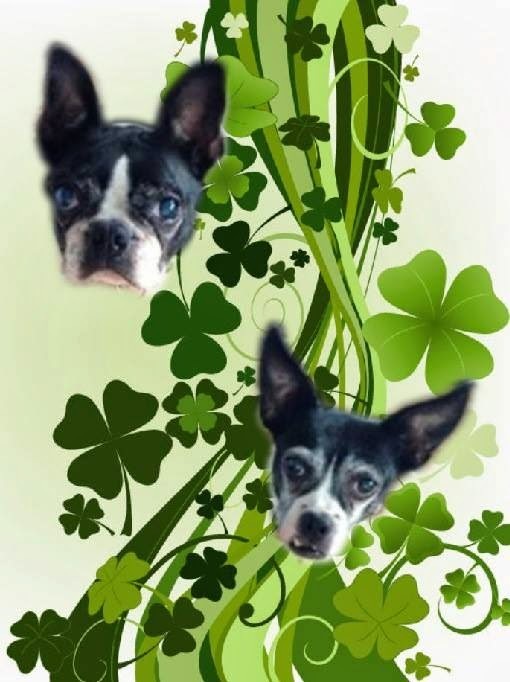 Happy Easter to All from Rocky and Robin! Joe never eats cookies but he ate one from he Easter Basket. Linda was shocked! Joe knows how much we all love him! 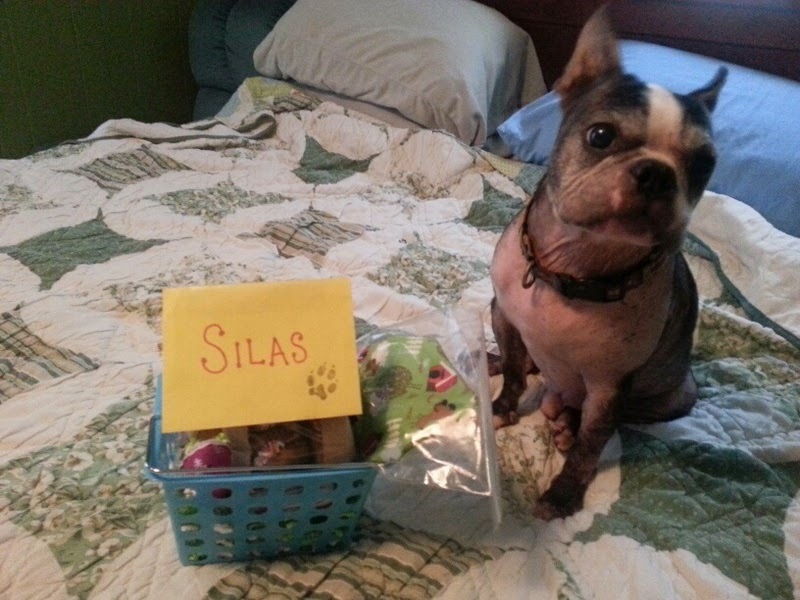 Buddy got his Easter basket & can't wait to eat his treats! Butch received his Eastern basket on Monday. Thank you Melissa D'Agostino for the kind gift. He loves all the treats! Here's a few photos of the happy guy begging for more. 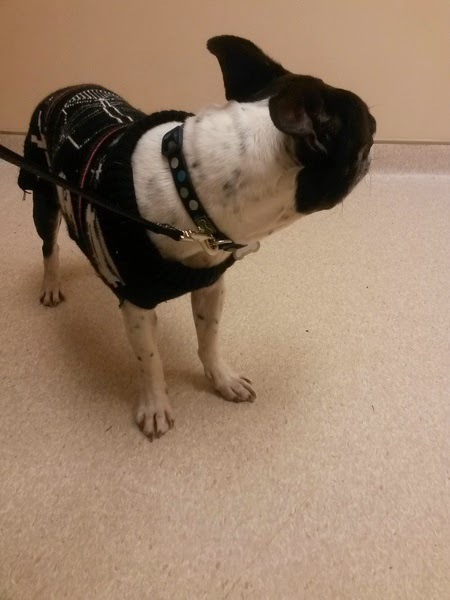 Good news, his weight is good, skin/coat is good, and he was SO GOOD! he basically just lounged on the table while the girls petted and cooed over jim. A fabulous older gent. So so so nice. Unfortunately he suffered a seizure a couple of hours after returning home. 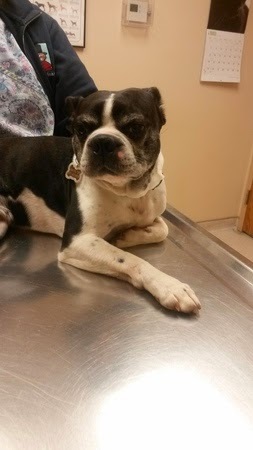 Erin took him back to the vet and more testing was done. Hopefully, he will be feeling better soon. Aww, he is precious. Best wishes for health and wellness to him. Erin, thanks so much for all you are doing for him! 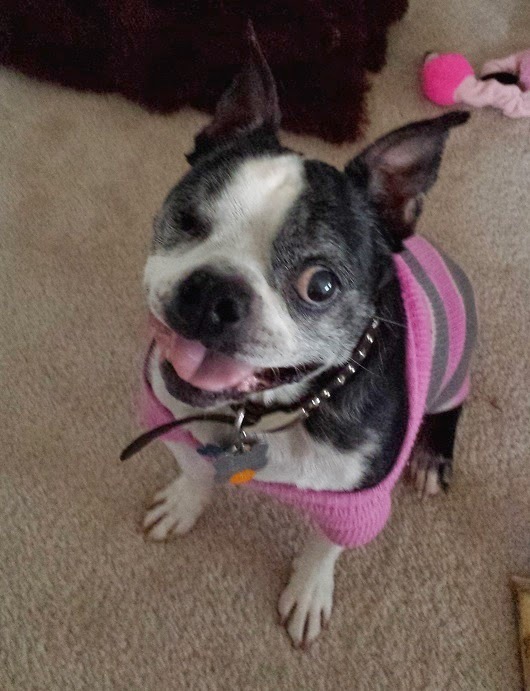 Ace's (now Chase) new family posted this update… do you think he looks happy?? It must make you feel great. Good work, Marjorie. What a happy little guy! 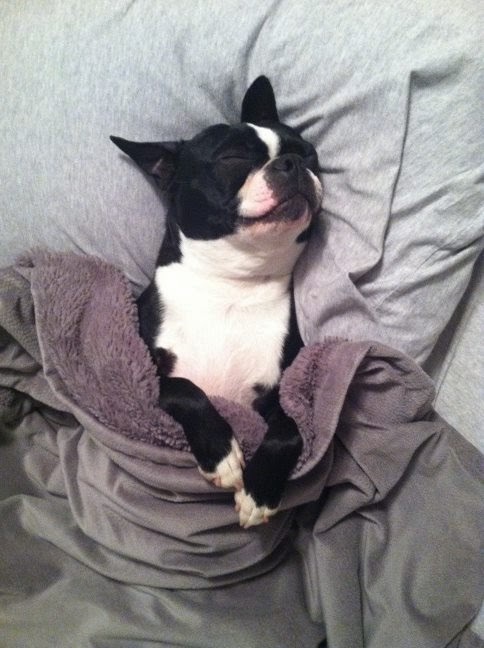 Look at the smile on his face, he is either dreaming of squirrels or he is just loving life in his new fur-ever home. 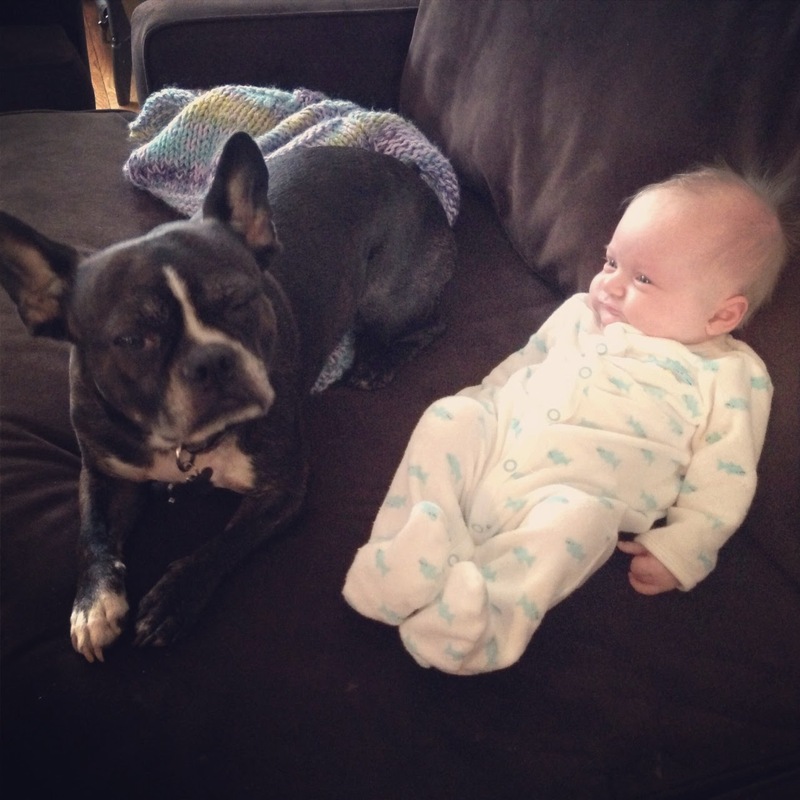 One of the cutest pictures we have ever seen! A Very Busy Easter Bunny with more Gifts! 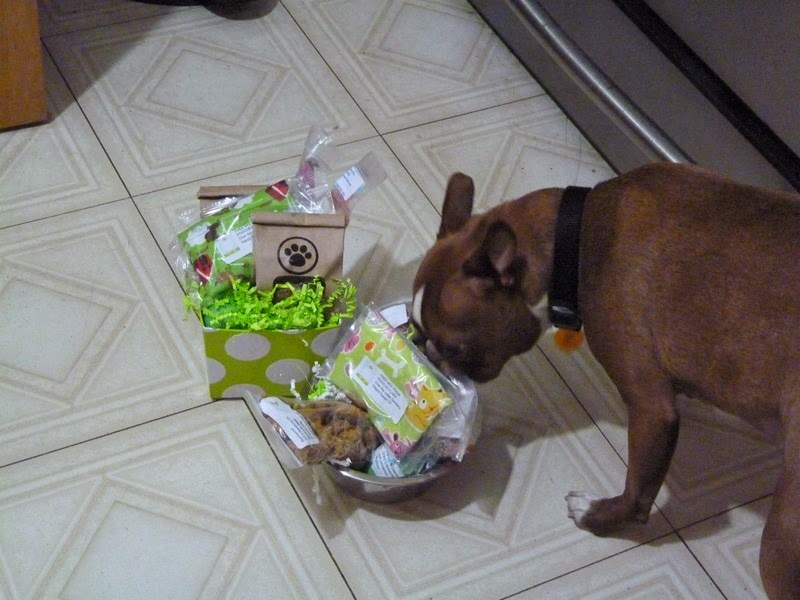 Boston wants to thank Thomas Kane and all who made the gift of the Easter basket full of treats possible. 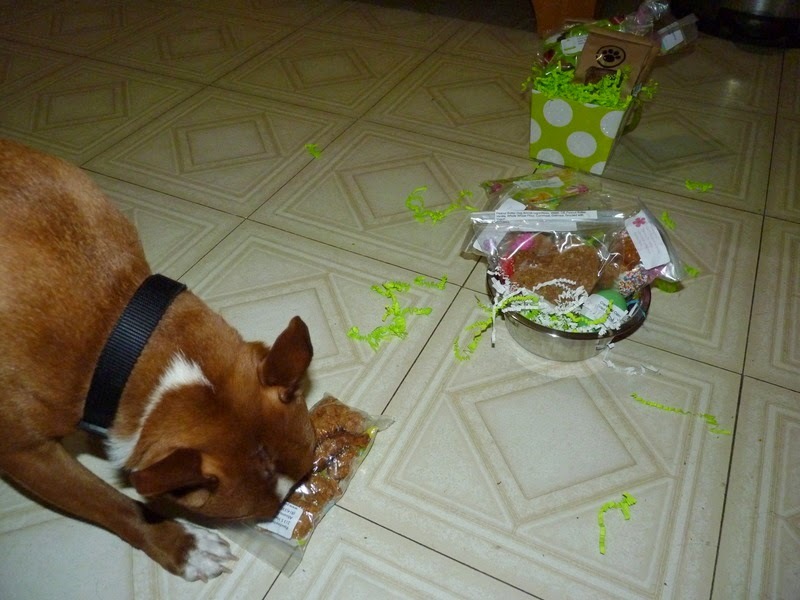 He's really enjoying the treats from Poocheychef and rolling the Easter egg around the kitchen. Thanks for making these special treats possible,. How cute is this boy! 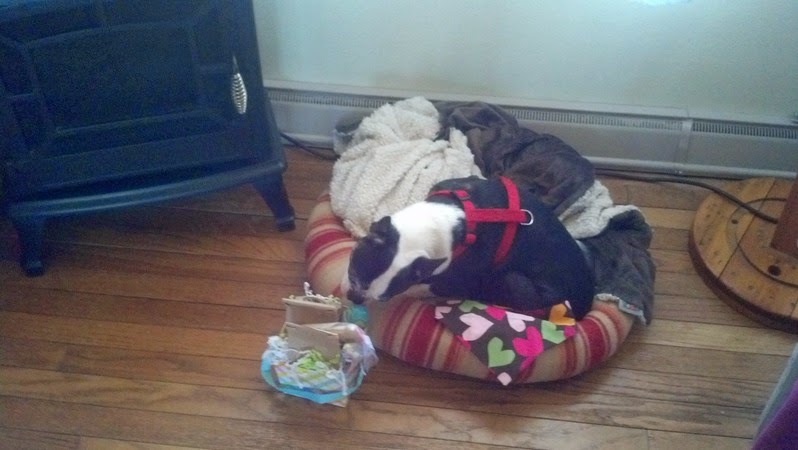 Beanie Shares his Easter Basket! 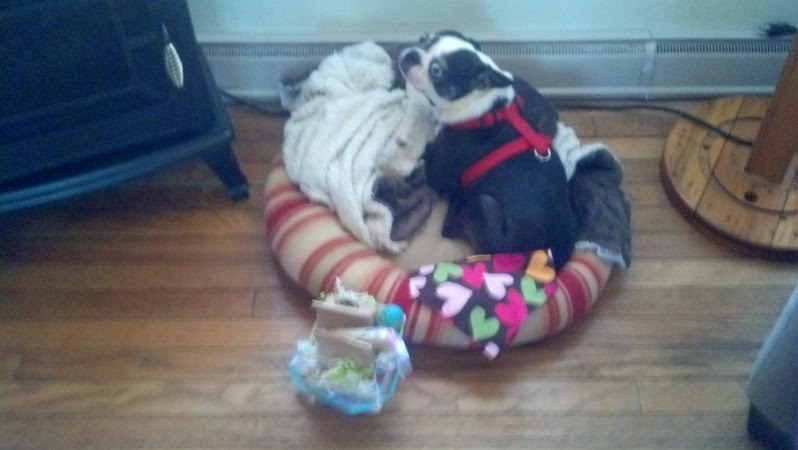 Louie's easter basket came today! So cute! 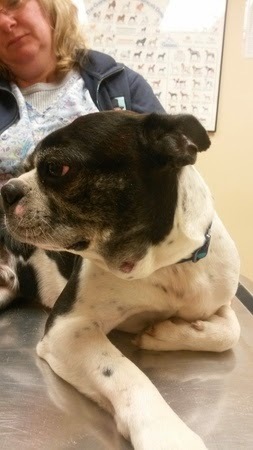 Unfortunately, he is on a restricted diet until we resolve his skin allergies.. 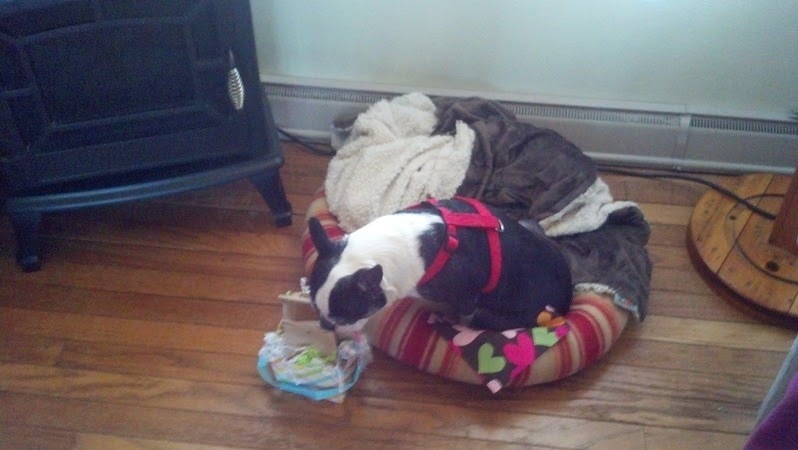 I don't think he will mind if I share them with foster brother Wade! Wade had a hard day and could use a treat! Thanks so much! I love these secret santa type things! So thoughtful! Welcome Katherine DeCotiis Wiedemann to NEBTR!